https://cdn2.hubspot.net/hubfs/644585/Soheil_%20Be%20Creative%20Meeting%2010.29.2018.jpg Dr. Soheil Shams was in invited to speak in Bejing, China last week at BeCreative's 5th Annual New Technologies in Cytogenetics & Clinical Application Meeting. 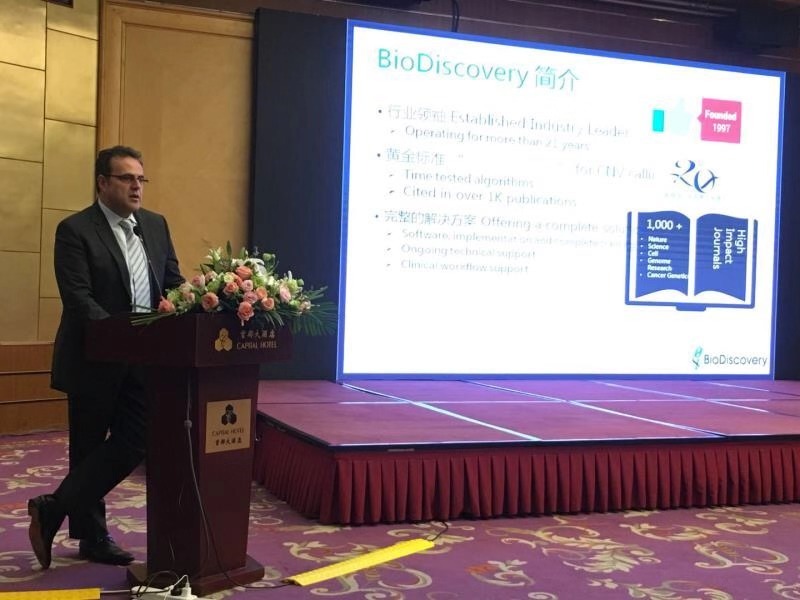 Dr. Soheil Shams was in invited to speak in Bejing, China last week at BeCreative's 5th Annual New Technologies in Cytogenetics & Clinical Application Meeting. He gave a sneak peak of NxClinical 5.0 and discussed how it can help cytogenetic and molecular labs expand capabilities in genetic testing of arrays, WES, WGS, and targeted panels. Over the past few years, mircroarrays and NGS have been used widely in clinical fields, specifically in prenatal and postnatal pediatric genetic tests. Overtime, technologies have evolved and we continue to see improvements in the diagnosis rare genetic diseases. Since 2014, this conference has been serving as a platform for clinical professionals to communicate and discuss the latest technologies in genome sequencing, interpretation of genetic variants, and also report analysis. We look forward to being a part of this amazing event next and continuing to grow our strong partnership with BeCreative!